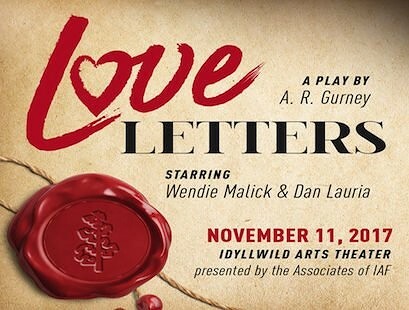 Hollywood, Broadway, and television are coming to the mountain community of Idyllwild on Saturday, November 11th, with the award-winning play Love Letters by A.R. Gurney. Hosted by the Associates of Idyllwild Arts Foundation, the one-night only performance will feature beloved Hollywood actors Wendie Malick and Dan Lauria. Both Malick and Lauria are recognized for their portrayal of memorable characters both on and off the television screen. Wendie Malick, Golden Globe and Emmy-nominated actress, is best recognized for her comical roles in television shows “Hot in Cleveland” and “Just Shoot Me”. Dan Lauria, is best known for his role as Jack Arnold in the television show “The Wonder Years” and his performance in the film “Independence Day”. Finalist for the 1988 Pulitzer Prize for Drama, Love Letters tells the story of two star-crossed lovers who exchange correspondences over a span of 50 years. With a real-life friendship that spans over 25 years, the chemistry and timing between Malick and Lauria make them the perfect duo for this two-person romantic production. According to Michael Slocum, President of the Associates, “The Associates are planning an extraordinary program as part of our 50th Anniversary.” The evening will include a post-production reception for VIP ticket holders to meet Malick and Lauria. In addition to donating their performance time, the stars will also be leading a Master Class for Idyllwild Art Academy theater students earlier that same day. The 7:30pm performance on Saturday, November 11th, will be at the Idyllwild Arts Theater on the Idyllwild Arts Academy campus at 52500 Temecula Road, Idyllwild 92549. 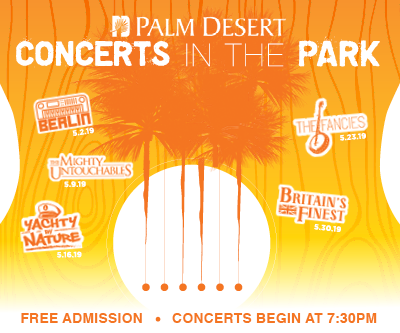 Tickets to the one-night only performance are $25 for general admission and $50 for VIP ticket holders. VIP tickets include reserved seating in front of the theatre and admission to the post-production reception at the Parks Exhibition Center on the Idyllwild Arts campus. There will be a limited number of VIP tickets available for purchase, so early purchase is recommended. All tickets may be purchased at www.associatesofiaf.org or by mailing a check to the Associates, PO Box 303, Idyllwild, CA 92549. The Associates of IAF is one of the oldest continuously-operating not-for-profit organizations in Idyllwild, an arts community located an hour drive from Palm Springs. All proceeds from the performance will support the Student Scholarship Fund of the Idyllwild Arts Academy and Summer Program, an internationally recognized boarding high-school for the arts. For more information about the Associates of IAF, including purchasing tickets and membership, visit www.associatesofiaf.org.